All i4Life volunteer will require Garda vetting. i4Life volunteers value the provision of training and embrace it wholeheartedly regarding it as an essential part and tangible benefit of their volunteering experience. In these cases, training will undoubtedly increase volunteer confidence and satisfaction. However, others may not see the need for training especially with busy health professional valuing their time off duty however working in Zambia and overseas is completely different experience to working in Ireland so as a result this requirement for training must be ‘sold’ with great sensitivity. In all instances, training must be well-planned and appropriate to the needs of organisation and to the needs of the individual volunteer. i4Life overseas volunteers will be required to have a pre and post medical. 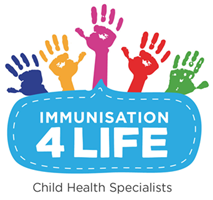 i4Life has an insurance policy for all volunteers and Speciality Emergency (SES ) insurance in Zambia for the safety of all volunteers. All i4Life overseas volunteers must attend a debriefing session on their return. At the Debriefing Meeting the team members will discuss project issues in a structured format. A facilitator guides the group in probing deeply into a pre-selected list of issues. The meeting allows team members an opportunity to vent and get closure. It is also a good place to capture what went well on the Project.